« FUNDING PARTNERS MAKING A DIFFERENCE! Each year, the Oklahoma Center for Nonprofits honors a handful of Oklahoma’s best and brightest nonprofits with its Oklahoma Nonprofit of Excellence (ONE) Awards. 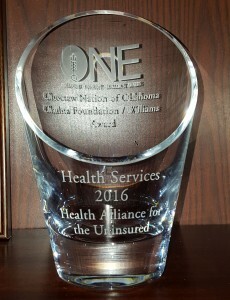 On Saturday, April 9, 2016, Health Alliance for the Uninsured was among 24 state nonprofits honored in eight categories at the Oklahoma Center for Nonprofits’ annual ONE Awards ceremony in Tulsa. 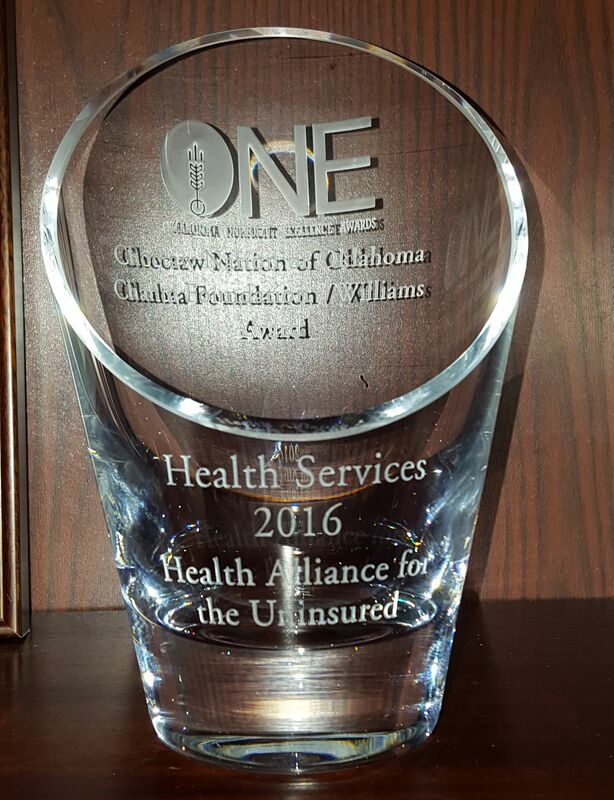 HAU was awarded the Choctaw Nation of Oklahoma, Chahta Foundation, and Williams Award for Health Services. We are very grateful for the recognition given our organization. $7,500 was received with the award which will help to advance our mission of assisting low-income, uninsured Oklahomans with their vital health needs.